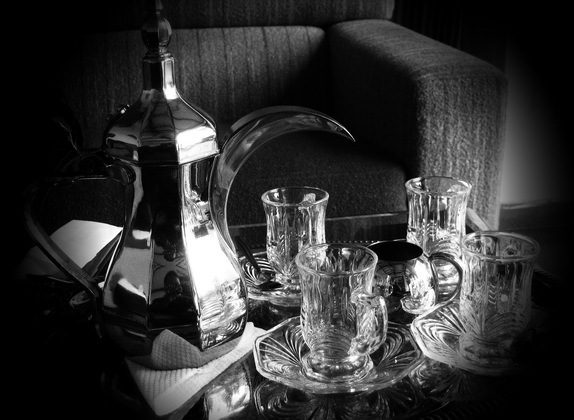 Nice way to enjoy Adeni tea at a Middle East themed restaurant. Adeni tea is a black tea that enriched with fresh milk and some spices like cinnamon and ginger. Perfect drink for colder days. Oh, I like this. The pot has such a great shape, and I love the light on the glasses. HUmm, parece ser mesmo delicioso. A foto está perfeita, parabéns! Um abraço!